If you’re a kid in the United States, you’ve probably had to do a project for your school’s annual science fair. First, you have to think of an interesting question, and then you conduct your experiment and collect your data. After all of this, you design a display (probably on a display board that folds into three parts) that describes your results. And the best part – then you get to talk about your project with your friends and your teacher, and maybe other grown-ups too. You might be surprised to learn that adult scientists do this too. But instead of calling it a science fair, we call it a conference. Conferences are one of the best parts about being a scientist! We get to learn about the newest work in our field, see old friends, and meet new people. It’s pretty exciting to be in the same place with a lot of other people interested in biology. 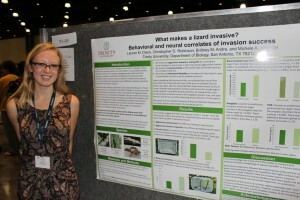 The scientists in the Lizard Lab just went to a conference in Florida last week. 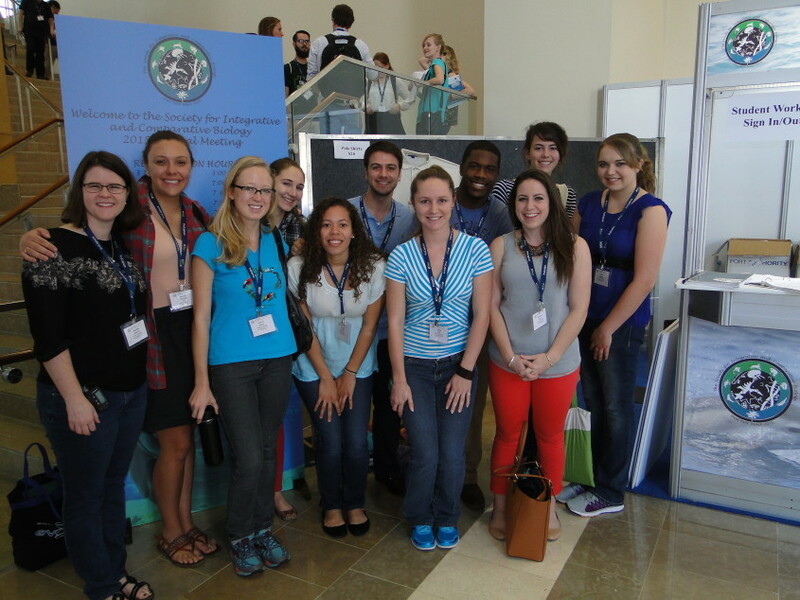 You can see from the picture above that we were a big group, but there were about 2,000 other scientists there too! We spent 5 days listening to short talks about the exciting new work in other labs (and giving some talks of our own), and we presented posters on the new projects in our lab. 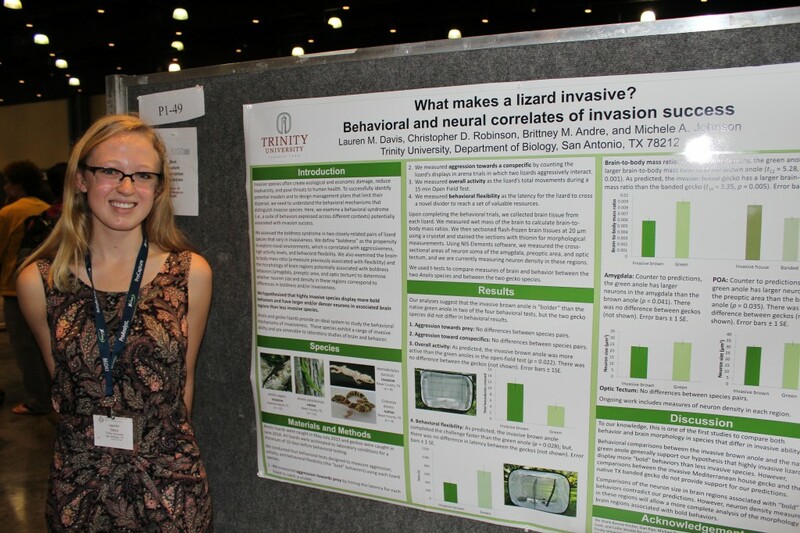 Below is a picture of one of the students in the Lizard Lab, Lauren, with her poster (photo by Andrew Battles). To be a scientist, you have to be good at telling other people about your research. We write papers to share our work with other scientists, and we also use Facebook and Twitter and blogs (like this one!) to tell anybody who’s interested about the work that we do. Good luck with your science fairs projects, and your conferences – and enjoy sharing your important results with others!